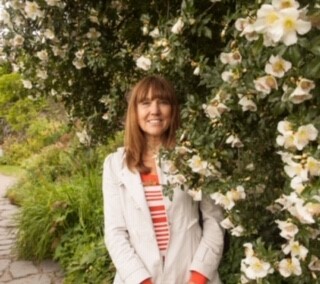 It is with great sadness that we announced the passing of our dear friend and colleague Mrs Marilyn Monk last week. Mrs Monk joined Sir Robert Hitcham’s CEVAP School family as a ‘Temporary Ancillary Support Assistant’ in 1997 and until earlier this year worked as a much valued Teaching Assistant - a position she cherished - until her deteriorating health ‘forced’ her retirement. Her passion for children’s wellbeing and learning was inspirational and one of her greatest joys was to see children happy. 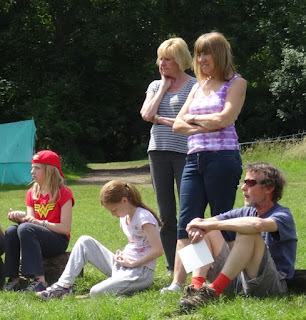 Mrs Monk assisted at seventeen Year 6 camps at Whitwell, more than anyone apart from Mr Byer. 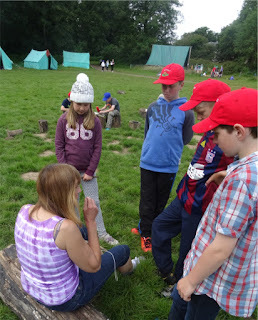 The children always appreciated her caring attitude, it is a great loss to the school. Please remember her family in your prayers - we will miss her. December 2018 - The staff have purchased and planted a few holly bushes in remembrance of Mrs Monk, which are near the Forest Schools area. 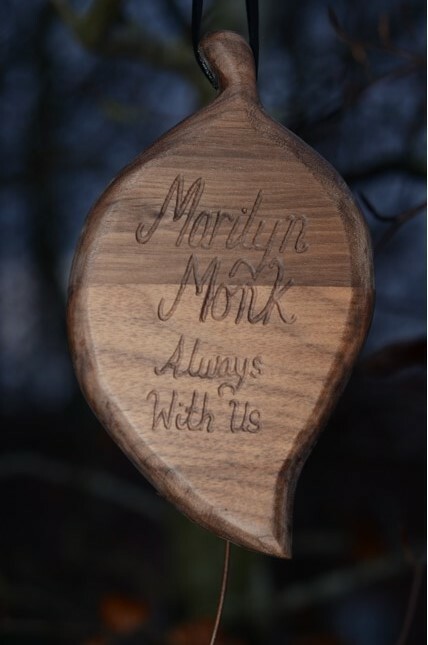 Mrs Free has carved and engraved a beautiful wooden leaf which is hanging from one of the nearby beech trees.